As I’ve said before, I’m not good with pastry, so it is with a little trepidation that I embark on making Lemon Meringue Pie. I’ve had some very good lemon meringues in my life, I’ve also had some very, very bad ones. 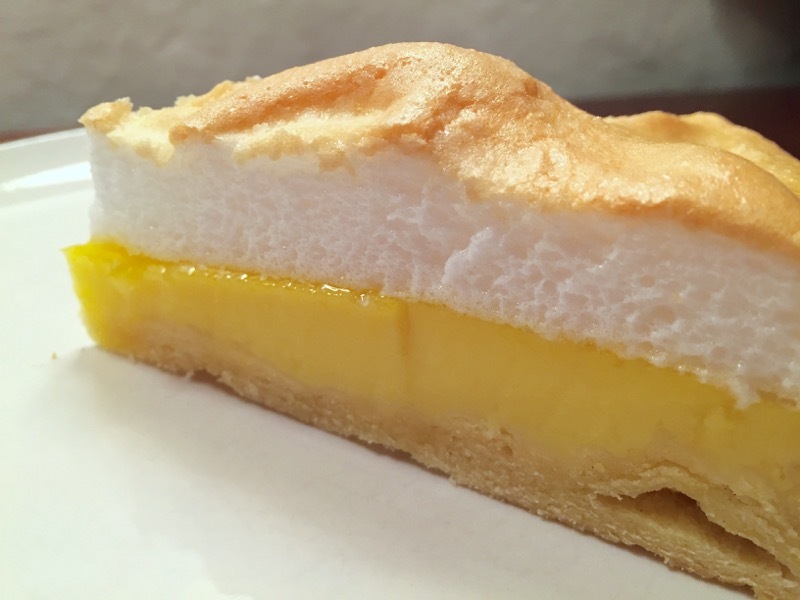 A good lemon meringue has a light pastry base. The lemon layer is sharp, but not too sharp; sweet, but not too sweet. The meringue should be light, creamy and melt in your mouth. That’s a good lemon meringue. A bad lemon meringue has shoe leather as pastry. It has a lemon base that’s either cloyingly sweet, or is so acidic that it burns your tongue – sometimes both at the same time. It has meringue that appears to be carved out of a single piece of polystyrene. I’m not confident about making this pie, and I not at all sure which end of the spectrum I am going to end up at. So, first, the pastry. 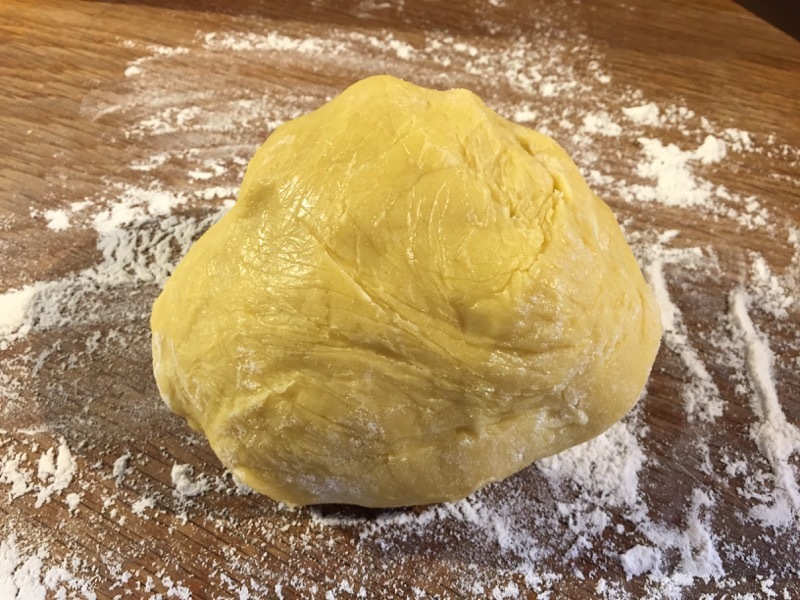 A pretty standard shortcrust pastry, with some eggs and sweetened slightly with icing sugar. I make it in the KitchenAid and it looks pretty good. Once it’s turned itself into a smooth ball, I wrap it in cling film and pop it in the fridge for half an hour. During the half hour wait, I give myself a little pep talk. This pastry will be good. 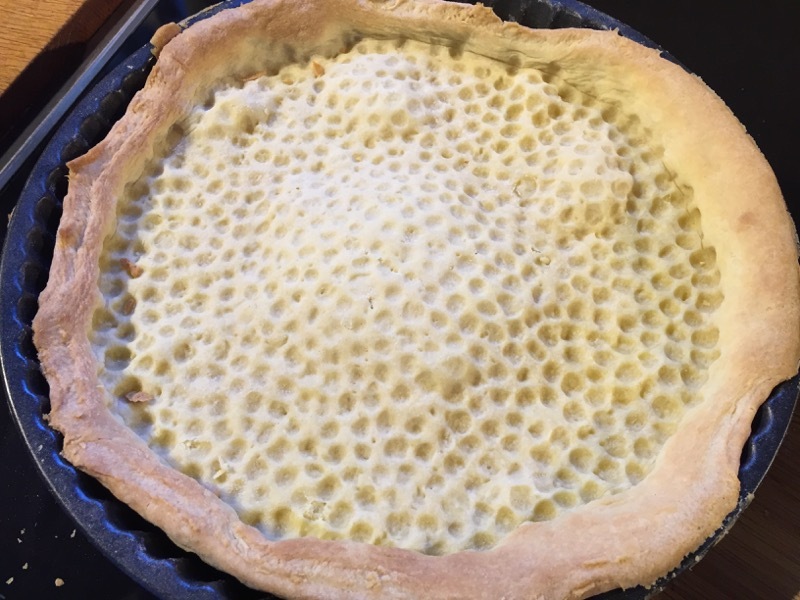 I take the pastry out of the fridge, roll it out and line a tart tin with it. It doesn’t look too bad. Maybe today, the pastry gods will smile upon me. I now have to bake it blind, so I prick the base lightly with a fork and fill it with the bag of chick peas I keep in the cupboard for this very purpose. Into the oven it goes. Twenty five minutes later, it’s not looking so good. The dry chick peas appear to have welded themselves into the base, which has also risen into a huge mound, higher than the top of the tin itself. 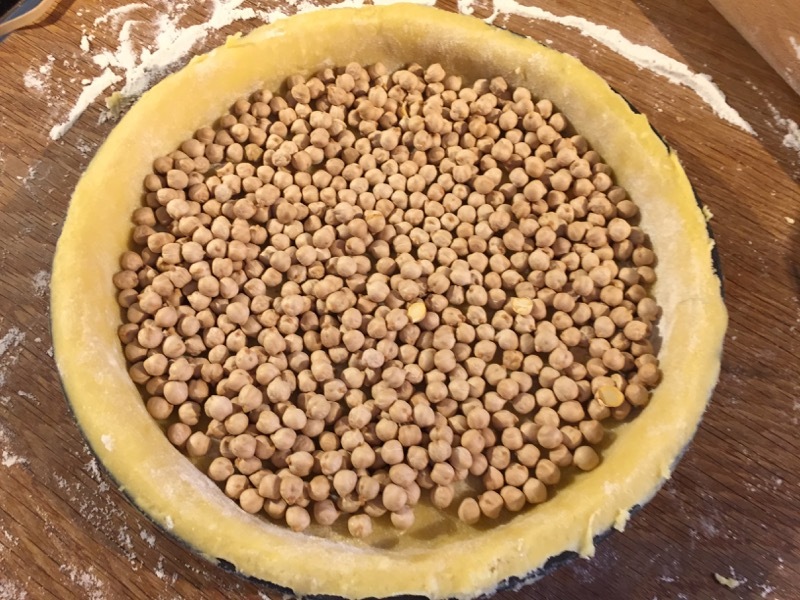 I eventually manage to pick out all of the chick peas and stab the huge air bubble in the base with a fork until it manages to flatten out a little. It looks better than it did, but it’s not exactly great. The pastry gods are clearly displeased. I can see where this is going, which end of that lemon meringue spectrum I’m going be at. Oh well, I guess I have to make do with what I have. Onwards. Now for the lemon filling. I whisk some eggs, together with a couple of extra yolks together with lemon zest and juice, caster sugar and cream. I pour it into my base where it prompty overflows over the uneven, lop-sided edge. I sigh and put the whole thing back in the oven to bake. A little while later, it’s clearly set, and to be honest, doesn’t look too bad. 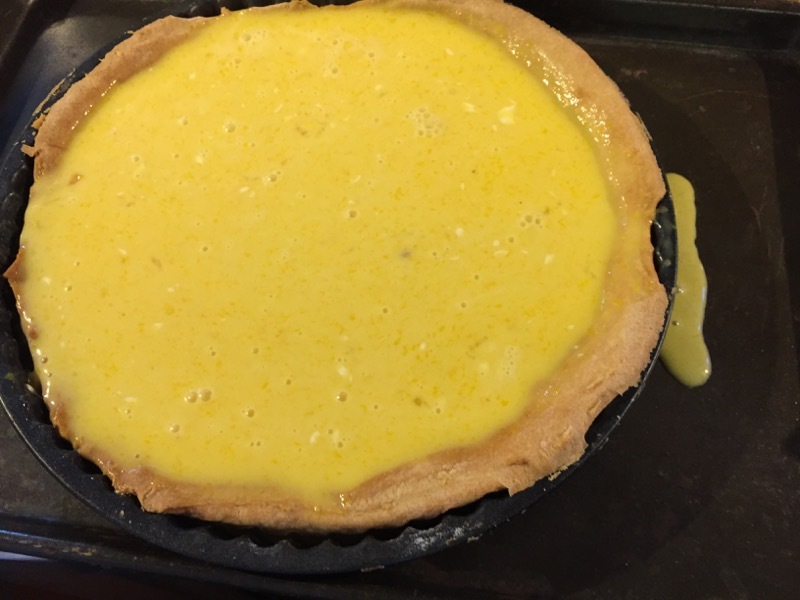 The leaked filling has burned onto the baking tray, but the stuff in the pie itself is a lovely golden yellow. I try to put the pie on a rack to cool, but I realise it is now welded to the baking tray. The leaked filling ran underneath the base of the tin, and baked solid, holding it firmly in place. It takes quite some effort to dislodge, but I somehow manage to set it free without destroying the whole thing. Finally, the meringue. I whisk some egg whites until firm, and then beat in some sugar until it goes thick and glossy. 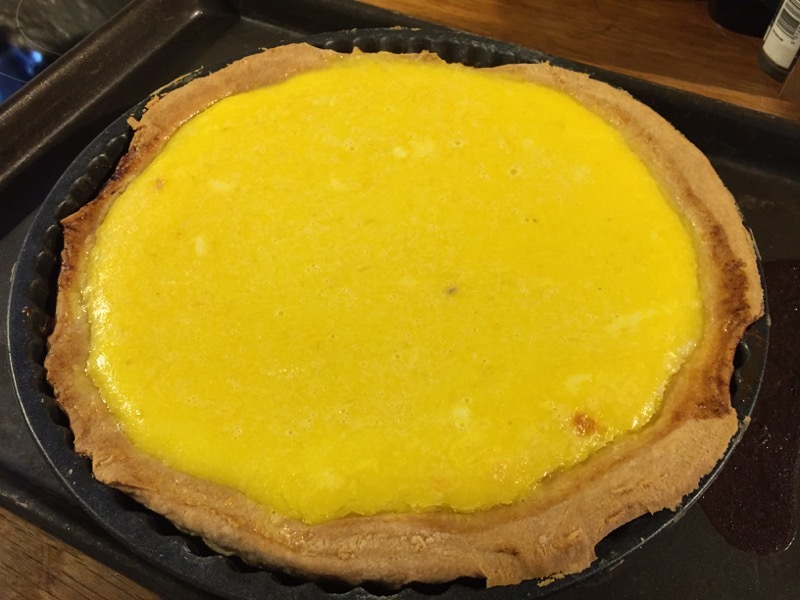 I pile it onto the lemon tart, sprinkle a little caster sugar on it and pop it back in the oven. A quarter of an hour later, the meringue has taken on a nice coffee colour and is lightly crusted on the top. I leave it to cool. So, time to eat it, I cut into it to remove a slice. That crust feels a little hard, it requires a firm hand with the knife to get through it. The cross-section looks pretty good though. As for the flavour? Well, I think the lemon filling is excellent. It has just the right degree of tartness and sweetness, and a lovely smooth texture. The meringue is light and it melts in the mouth. Not bad at all. And the pastry? Well, that is clearly my downfall. It’s not all bad, it has a nice flavour. The trouble is that the edges are way too hard, and the base just a little bit too leathery. Must do better. This time it was dessert time from the Prawn Cocktail Years. And not just any dessert, one of my favourite desserts. Back in the very dim past when I actually used to cook for friends, it was a dessert I made several times. Lemon Meringue Pie. I have to say that this recipe was way nicer than the one I used to use. The lemon custard was fragrantly lemony without being either too sharp or too sweet. I really liked it. BUT, this time I have issues. The pastry was not very successful. It was rather tough and chewy and despite baking blind with beans and being pricked all over, it had bubbled up in places and shrank away from the sides of the tin in areas. Pastry is obviously an art form. 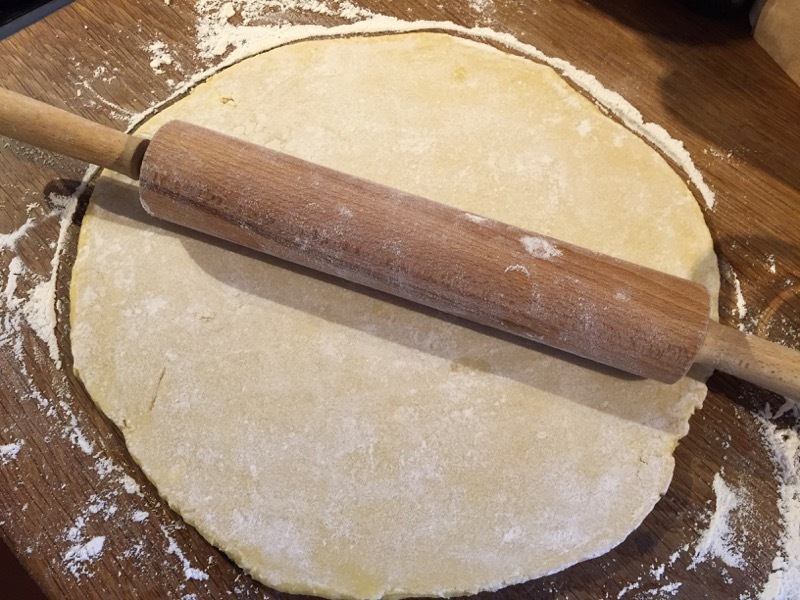 And it’s hard to know how to get really good at it unless you make a lot of it and delicious though it can be, I don’t want to eat pastry all the time. So there was definitely room for improvement in this area. I also think the meringue itself needed to be crisper. For me it should be dry and crumbling at the surface and soft and perhaps slightly chewy inside. But this one, although it had a good colour, was not really very crisp on top and was too wet inside. I would really like Dave to perfect this dish because even this far away from the 1970’s I think it would make a lovely dinner desert and as I said above, this particular recipe was a good one. But it needs a little practice to get it right. Good effort. I haven’t yet had the nerve to try one of these. I really should, as with the aga it is apparently possible to bake the pastry in the bottom oven without needing to fill it. I do also own so baking beans – don’t think I’ve ever used them, perhaps I should give them to you?! 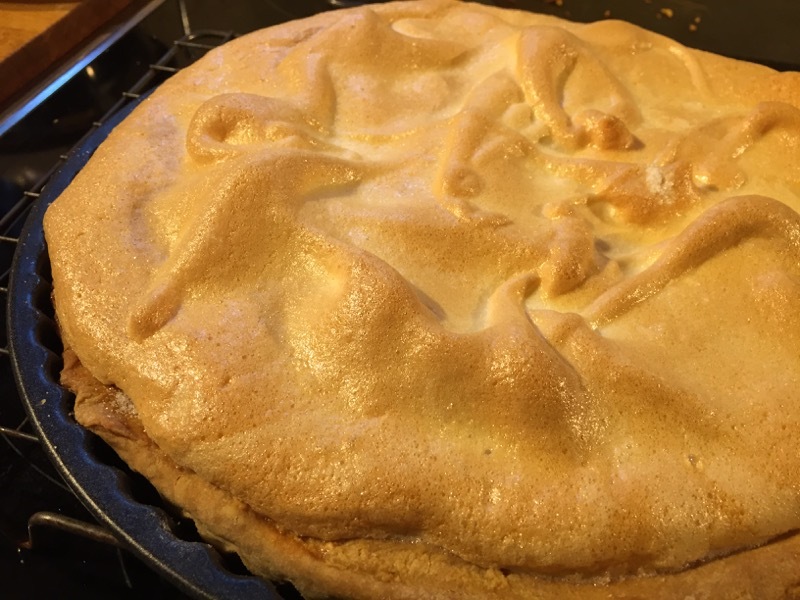 Regarding Sue’s comment on the meringue “it should be dry and crumbling at the surface and soft and perhaps slightly chewy inside” – whilst I like my meringue pieces like this I’m pretty sure the meringue in this pie is meant to be squishy in the middle and barely crisped on the top. I’m completely with you on the meringue – squishy in the middle, barely crisped on top. Sue is just plain wrong.